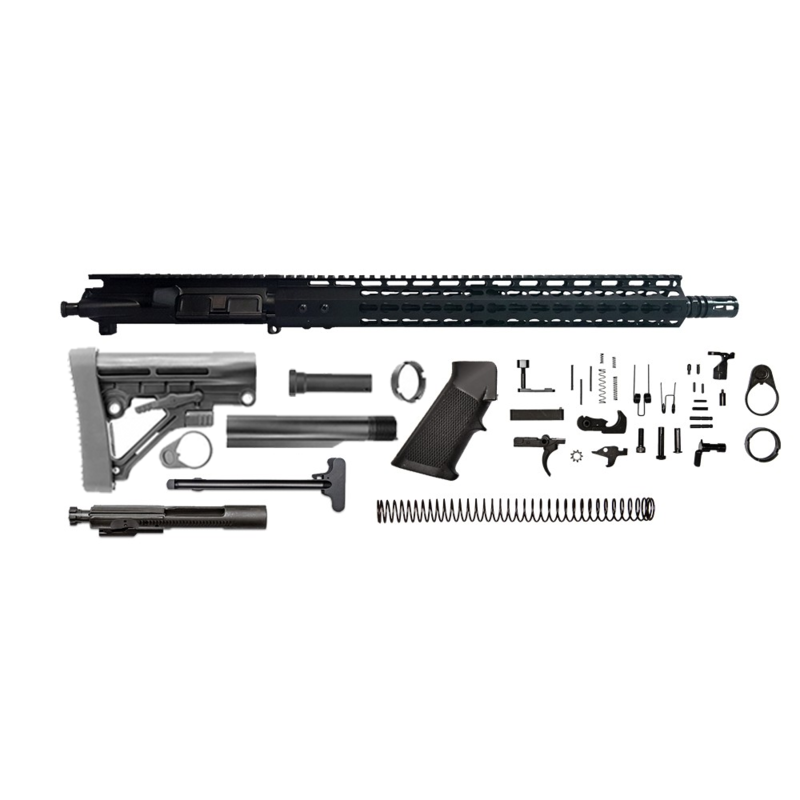 The Generation 2 upper assembly featuring a 7 sided Keymod Rail , perfect for 3 gunners! The receiver is a flat top M4 Mil-Spec upper receiver are forged CNC Machined from 7075-T6 Aluminum, the hardest and most durable material of any upper! This 16” 7.62 X 39 barrel is made from 4150 Chrome Moly steel, has 1:10 twist rate & carbine gas system.This incredible rail has 200% increase in keymods, so your attachment position options are endless! The rail is a 15” CBC Gen ll Keymod rail made from Airplane Aluminum and then hard coat anodized to improve the strength! I got this rifle and am real glad. It is one of the best shooters I have. I do not shoot my 223/556 anymore. This rifle kit combined with my Savage MSR lower is a terrific shooter. I had ammo for my SKS in large quantities but this rifle is a whole lot more fun to shoot and a whole lot more accurate. Can’t beat the price. This is my second AR build, I wanted to build something different and this is a great option, great price, one downside is that it does not come with building instructions, I got instructions from YouTube and from what I remembered from my 5.56 build, I combined it with my Anderson lower and it is a great fit, no blemishes, recommend cleaning the BCG and punching the bore before you build it, it will help when you first shoot it, I had a minor jam first round, after removing the round, it fired without a hitch, ammunition is inexpensive and plentiful, I would recommend and have recommended this kit to anyone wanting a 7.62×39 rifle, the fire select is a bit stiff but with use it will be easier to move it from safe to semi position, the upper is fully assembled, lightweight and the buttstock is easy to instal, over all I am very pleased with my rifle, if you are looking for an AK but don’t want to spend $700+, this is a great option, it cost me roughly $400 to build this rifle start to finish, CBC shipped my order quick, fast and in a hurry, I got my kit in about a week, great job CBC staff, keep it up.